Facebook Messenger is now rife with Live Video conversations that can enable users to chat real-time and share videos with each other. According to a blog post, Instant Video can be activated by tapping on the video icon in the top right corner to start sharing real-time video. The feature is available in the latest Facebook Messenger app that can be downloaded for iOS or android devices. The conversations are in an audio off mode and the Video hangs over the text messaging that takes place in the messenger. The users can get a live view with the instant video and choose to steer conversations based on Live Video. Users can thereafter choose to share a live video or simply carry on with Text messaging. 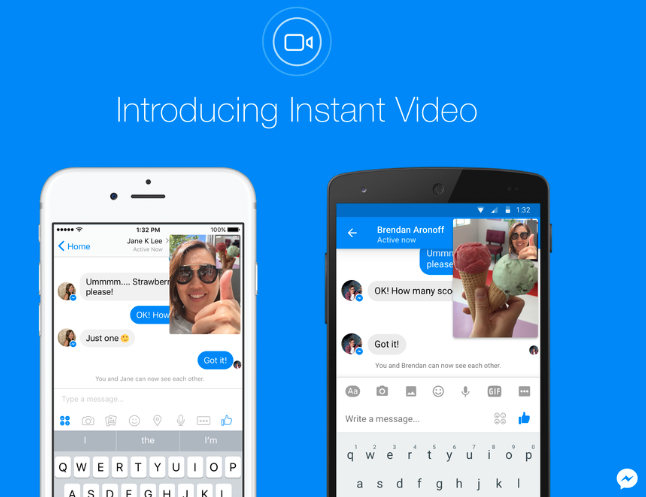 According to Facebook, Instant Video builds on the authenticity of conversation in silent mode. Brands that rely on User Generated Content, will find Instant Video as an essential engagement tool with users being able to share video content while interacting with the brand, real-time. An example of UGC Video will be real-time PSL drinking challenge contest on Facebook Messenger or Inviting a group of friends virtually to a PSL tasting session live on Facebook Messenger. UGC can also be used for instant reviews and ratings that help users decide initial response. Brands can create Unboxing events that require users to share their views and reviews real-time. The format is more about generating multiple review in a video format rather than a single person review of a product. The effort can engage fans to be live participants for a challenge or a review. Brands can engage users with Live Video content real-time. This is possible by hosting quizzes inviting users to share their view online. The users can participate in quizzes online and brands can announce winners real-time. 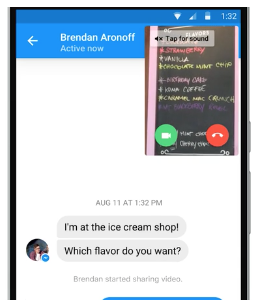 Real-time Live video can be powerful for conducting Live Polls on Messenger. Brands can now use ChatBots for live conversations. With Instant Video Brands can share clips of UGC with the audience that are likely to make for increased engagement with the campaign.